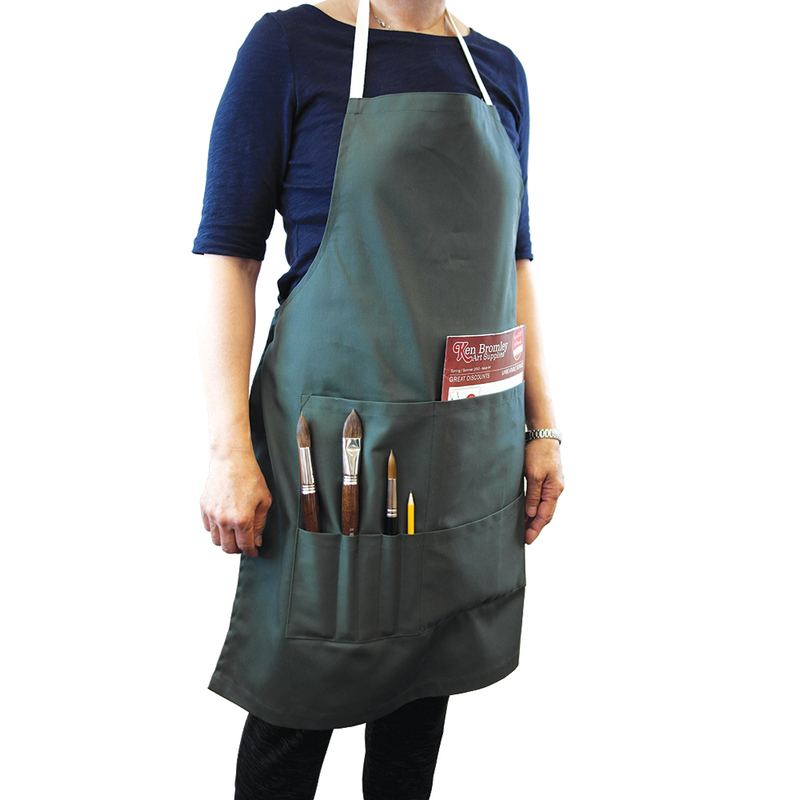 Available in blue and green, this apron is made from a strong, heavyweight cotton/polyester material and has 2 rows of pockets at the front to hold brushes, pads etc. Fabric is 65% cotton and 35% polyester. Poly cotton is breathable, tear-resistant, and abrasion-resistant. It is machine washable at up to 40 degrees centigrade. Available in one size to suit most artists. Model in photo is 5ft 6ins (1.67m) tall.